Toni Morrison’s birth name is Chloe Anthony Wofford. She dedicated Paradise to her older sister Lois Wofford. Do you like your left hand? Ren has spent twelve years wondering what happened to his. Find out what (or who) took it in Hannah Tinti‘s The Good Thief. Who are these lucky women? >> Hester Tinti-Kane discusses The Good Thief. >> Honorah Tinti is a director. Gennifer Choldenko‘s book “Al Capone Does My Shirts” tells the story of a boy named Moose, his adorably bizarre kid sister Natalie, and their neighbors – the rapists, murderers and soggy criminals who live together on Alcatraz Island. We especially liked his teacher, Miss Bimp. Choldenko’s sister inspired the character Natalie. 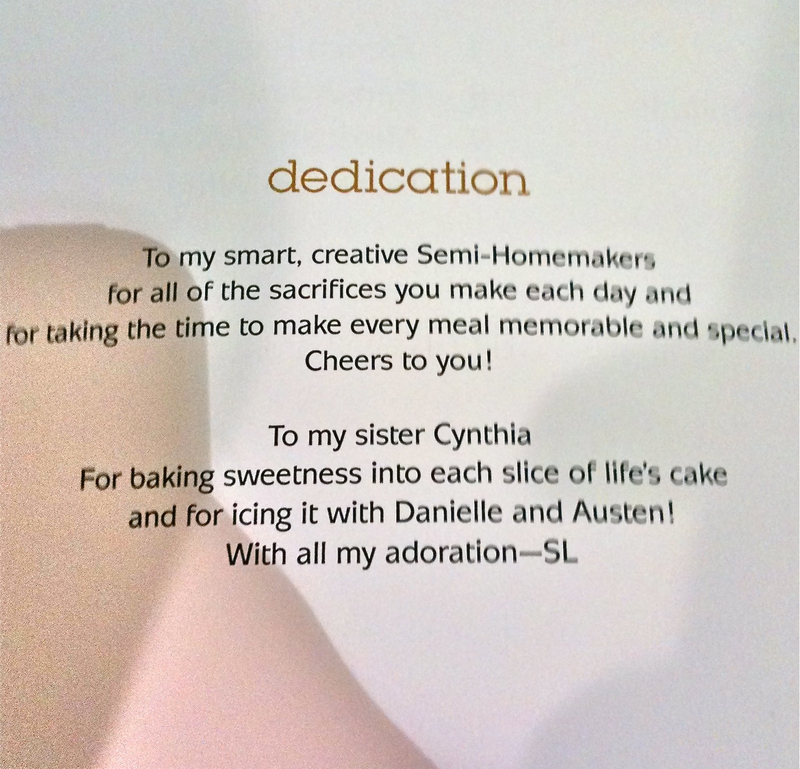 To my smart, creative Semi-Homemaders, for all of the sacrifices you make each day and for taking the time to make every meal memorable and special, Cheers to you! 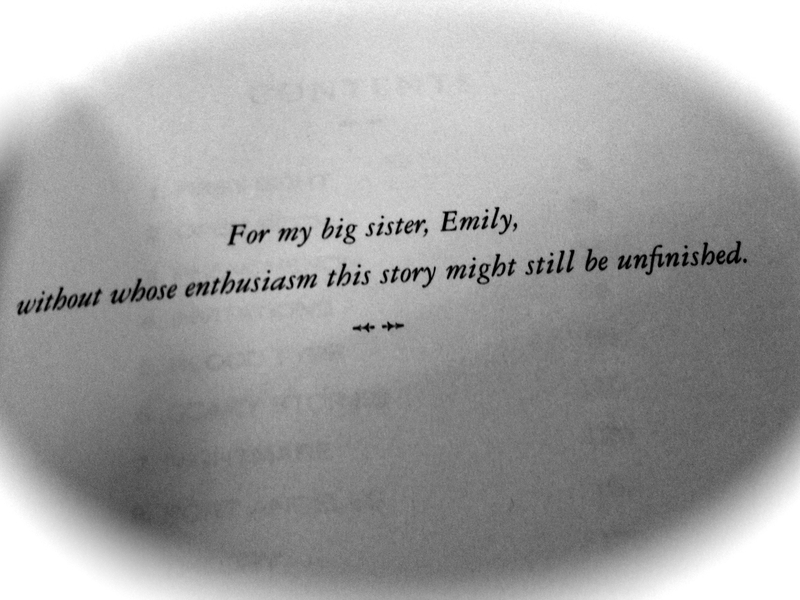 For my big sister, Emily, without whose enthusiasm this story might still be unfinished.